Mitchell & Colmenero, LLP is a multiple-practice firm serving businesses, families and individuals in Austin, Texas and surrounding Central Texas communities; including Georgetown, Round Rock, San Marcos and Bastrop. 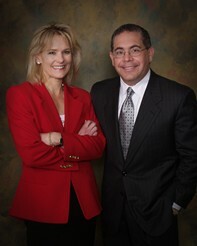 Collectively, our firm offers our clients more than fifty years of legal and financial experience. As a small law firm, Mitchell & Colmenero, LLP provides high quality legal services with a personal touch in the areas of business law, real estate law, estate planning, probate & tax. The difference between our firm and many others is our firm's caring and informal atmosphere, which becomes apparent once you step into our office in downtown Austin. We are all friends here, and we treat our clients as friends, even as we represent their interests to the fullest extent. Consequently, we have had the privilege to serve the great majority of our clients for many years. People feel comfortable when they visit our office, and we believe you will feel the same. We are always happy to meet with you to discuss your legal and financial needs. As our client, you will receive experienced, personal service from professionals who care about you. Copyright © 2011-2015 by Mitchell & Colmenero, LLP. All rights reserved. You may reproduce materials available at this site for your own personal use and for non-commercial distribution. All copies must include this copyright statement.